How to Stream iTunes Videos to TV via Nexus Player? 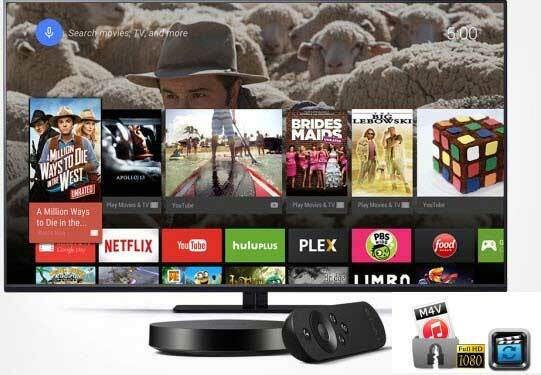 The tech giant Google has announced the new streaming media player - Nexus Player on October 15, which is the first device to run Android TV platform. The Nexus Player is a $99 set-top box made in collaboration with Asus with a round shape and small size. Nexus Player uses Bluetooth for remote control, has a microphone that supports voice search, what is more, there's an optional gaming controller available which separates itself from other rival set-top boxes such as Roku or Apple TV. Nexus Player runs a brand new TV-optimized version of Android 5.0 (Lollipop) which means it'll eventually be compatible with a huge assortment of Android apps in the Google Play store. Nexus Player is Google Cast-ready, meaning it can receive a stream from a Chromebook, Android or iOS phones or tablets, and display it on a TV. It’s an ideal streaming media player for movies, music and videos. Unfortunately, not all videos can be streamed with Nexus Player, such as iTunes videos which are strictly protected by Apple FairPlay. The DRM locked iTunes M4V videos are restricted from playing on non-Apple devices. It’s such a pity that the iTunes HD videos cannot stream on TV. To solve this problem, removing DRM from iTunes videos is needed. M4VGear DRM Media Converter is a smart yet professional DRM removal tool to bypass the DRM protection from both iTunes rentals and purchases, thus to convert the locked M4V movies and TV Shows to DRM-Free MP4 format which is supported by Nexus Player. 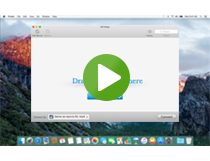 Tutorial: How to convert iTunes M4V to DRM-free MP4? 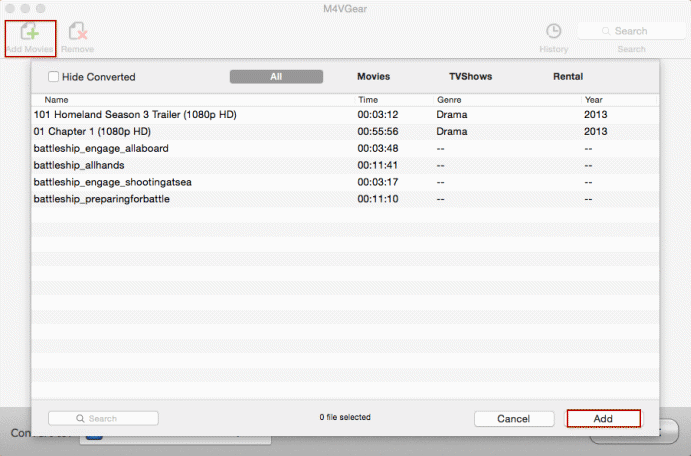 Double click to launch M4VGear and you will find that the iTunes will open automatically with it. Then click “Add Movies” button to import iTunes videos. If you fail to add videos in this way, please find the video files on your local hard drive, and then directly drag and drop the video to the M4VGear interface. 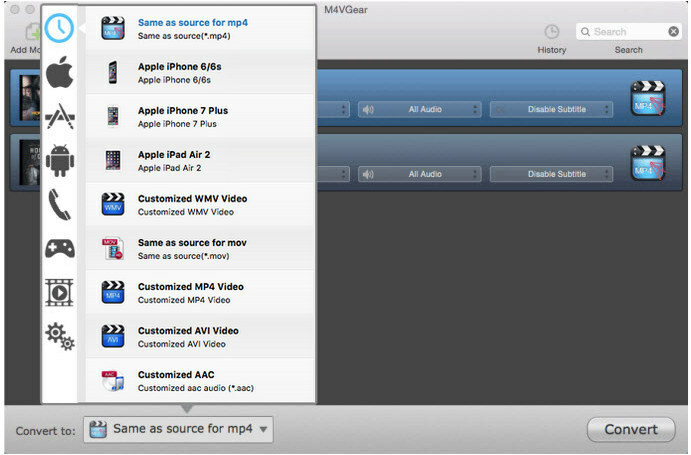 Go to bottom left of M4VGear and choose the output format you want to convert your iTunes videos to. You are allowed to choose many video and audio output formats like MP4, MOV and MP3 as well as output devices like iPhone 6s (Plus) and so on. Click “Convert” button to start converting. Before the progress bar moving, the iTunes would flashes and disappears quickly. After that, the video will start conversion. During the whole conversion process, do not control or touch iTunes. After converting, click the upper-right button “History” to find the well converted videos. You now can stream the videos to TV freely via Nexus Player. 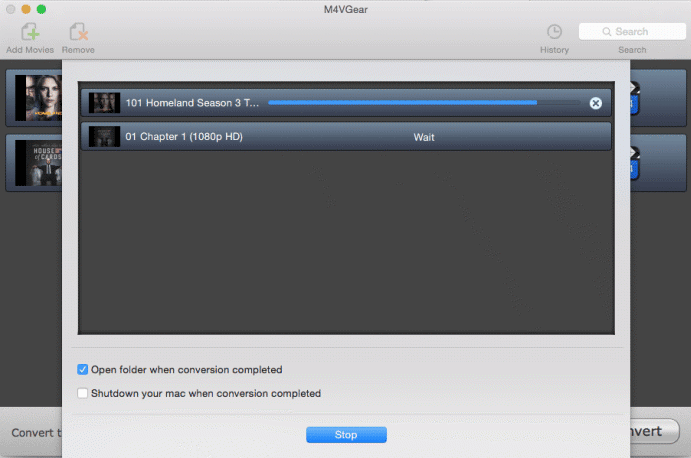 Download M4VGear DRM Media Converter Now!